Do you know what is Chimaek? Honestly this is my first time to heard about this special noun also hahaha! It is a combination of 'chi' for chicken and 'maek' for beer, yesh~~~ fried chicken + beer! 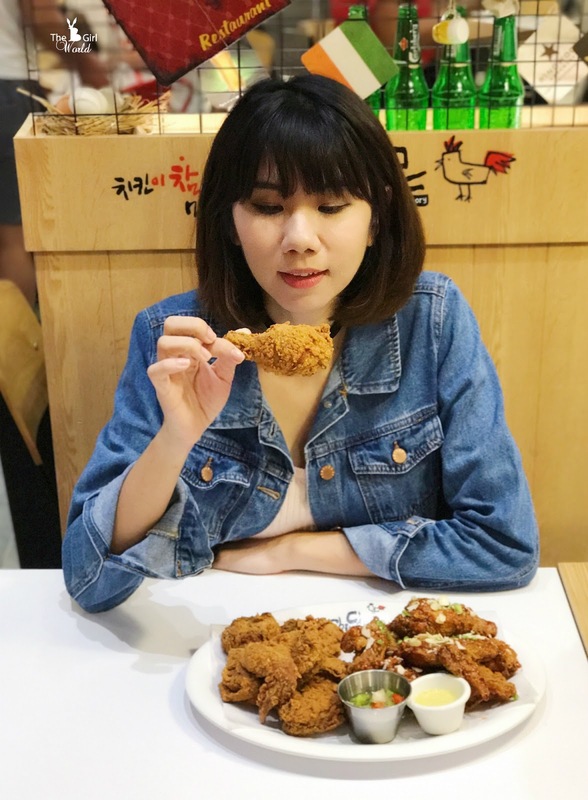 Thanks to the Korean drama "My Love From the Star" and made this unique Korean gastronomic concept popular around the world also adopted in countless eateries in South Korea. Personally think fried chicken + beer is the best combination ever especially during rainy or cooling night, haha! 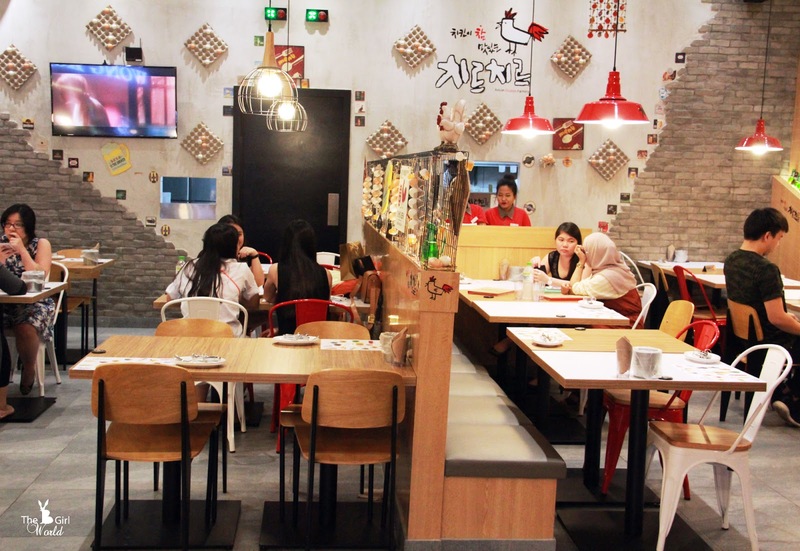 Great news to all Korean Chimaek lover, there is another famous Chimaek eatery tapped into Pavilion Elite. 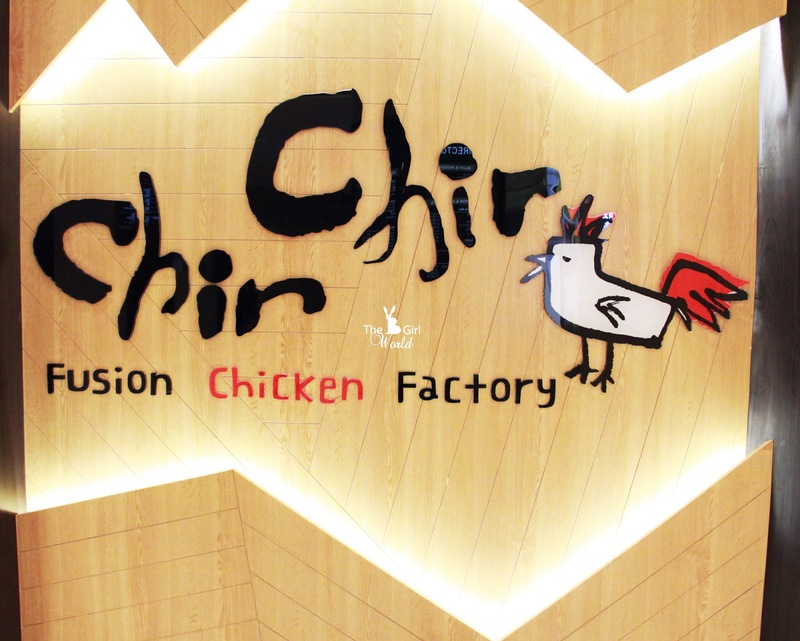 Chir Chir Fusion Chicken Factory, the largest chain of Chimaek restaurant in South Korea has finally arrived to Malaysian shores!! First of all, i would like to teach you all how to pronounce "Chir Chir". Well~ It is not Korean language, don't be surprise because i also pronounce the wrong one haha... It is actually devices its name from the tantalising sounds of bubbling oil when chicken is placed in a deep-fryer. 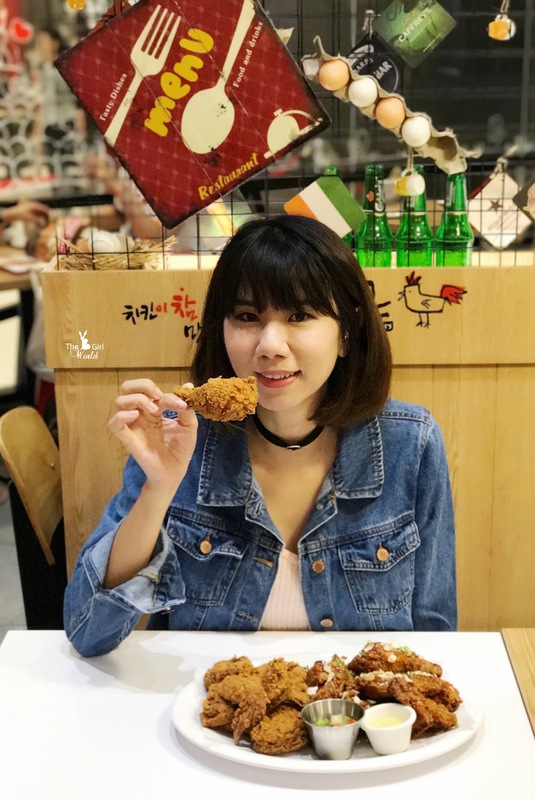 Chir Chir is well-known for its signature freshly cooked chicken dishes that are fried only upon order, to assured patrons to enjoy the highest freshness and quality from start to end of their visit. 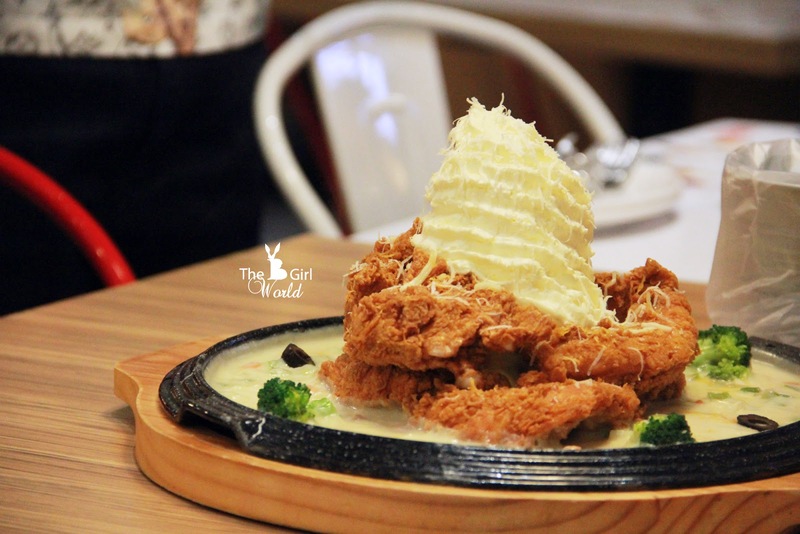 NO pre-fried and frozen chicken in Chir Chir! 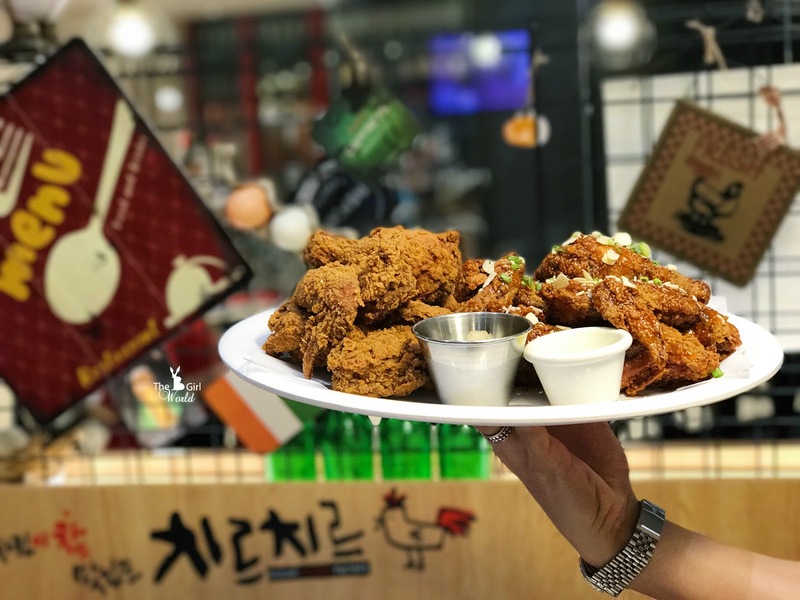 Each dish is paired with proprietary sauces and marinade from Seoul resulting in a delicious and consistent flavour in all over 100 Chir Chir outlets across South Korea, China, Taiwan, Indonesia and Singapore. 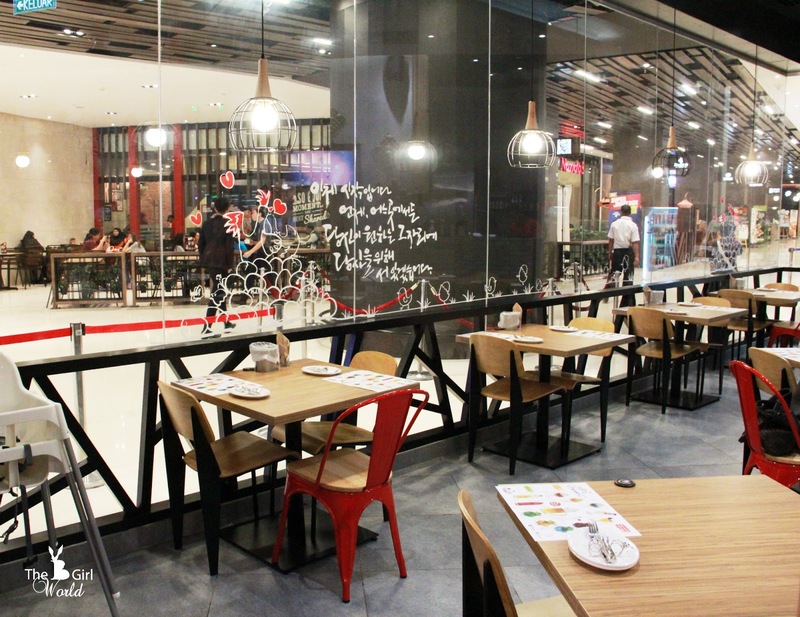 Casual and fun setting at Chir Chir Pavilion Elite, the first outlet in Malaysia. 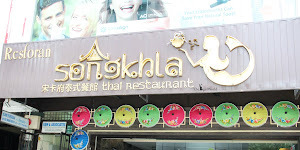 If you had been another Chimaek eatery before, maybe will headache on their pricing because it is quite expensive for few pieces fried chickens. 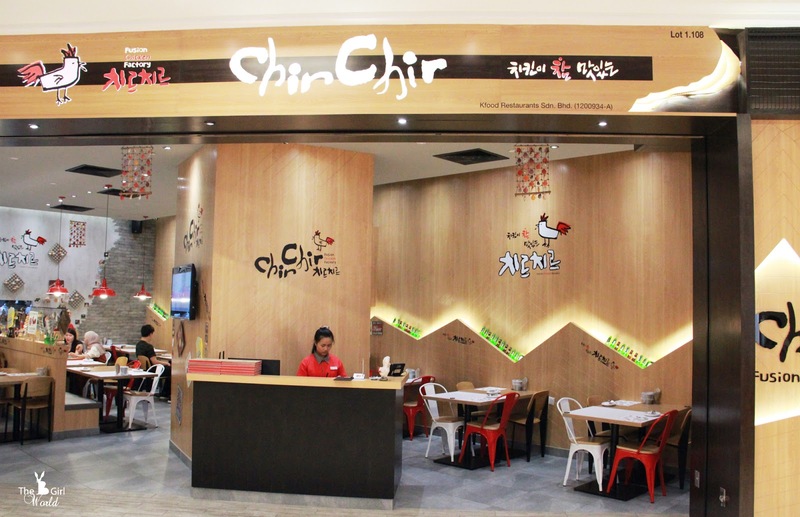 In Chir Chir, they are featuring generous portions that are best shared amongst family and loved ones with adorable price! Let's start our chick fest! 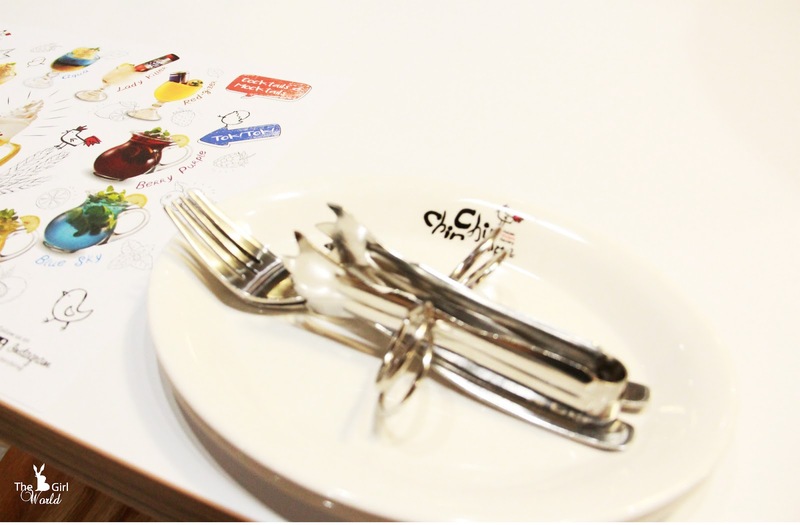 Chir Chir's wide ranging menu features 6 main categories of appetising fares from Signature Fried Chicken, Nest Snow, Roasted, Specials, Salads, Cocktails and Cocktails. Highly recommended! It was so good!!! 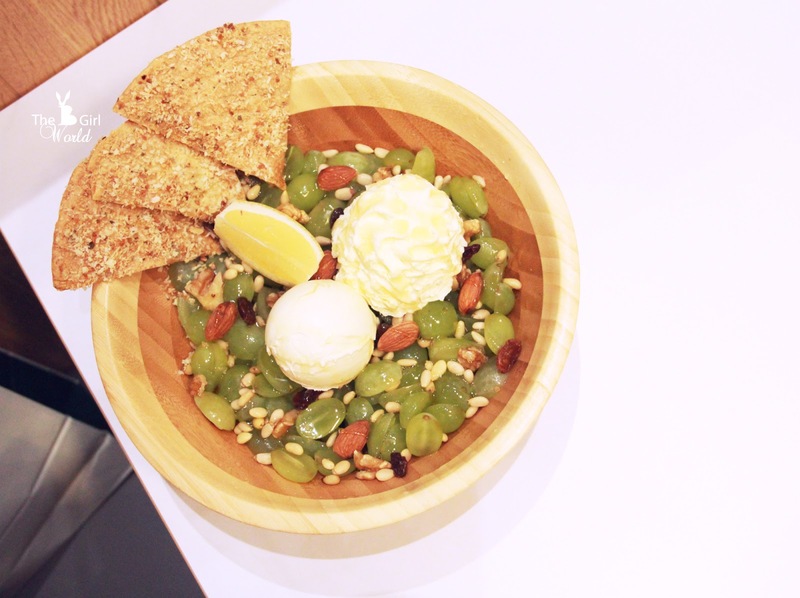 A sweet and fresh unique combination of plump, seedless green grapes with crunchy walnuts, pine nuts and almonds, topped with home-made ricotta and whipped cream. Served with crispy-chewy tortilla shards for extra texture, and finished with a drizzle of honey and a dose of minced garlic. Imagine the sweet yet sour green grapes, the nuts and almonds provide added flavour and a lovely crunchy texture, honey, whipped cream all flavors bursting in your mouth, it is highly addictive! 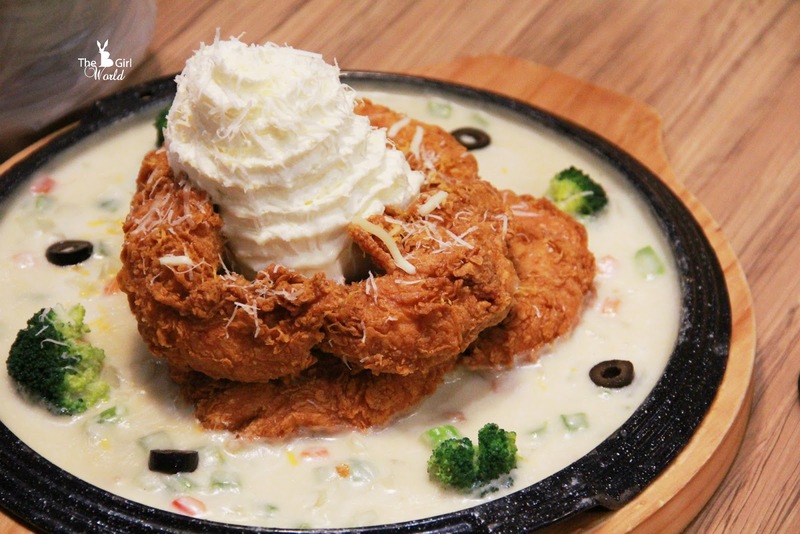 This is their signature dish and of course it is a must-order dish! 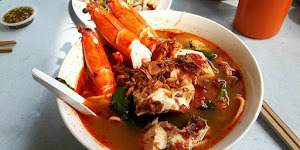 Look at the portion, it can typically satiate the appetite of up to 4 pax and only cost RM49.90 (RM12.50+ per pax ONLY). There are 3 flavours available which is Crispy Fried Chicken, Spicy Wings and Garlicky Chicken Tenders, served together with salsa and honey mustard sauce. Take about 8 - 12 minutes to serve on your table. I choose to mix 2 flavours (Crispy Fried Chicken + Spicy Wings) in a plate as i want to try more. Just need to top up RM7 to change another half portion of chicken to spicy or garlicky. Everybody know i love to eat spicy and can eat till spiciest level. But I personally like the original taste Crispy Fried Chicken, the chicken is tender, juicy, moist on the inside and crispy crunchy on the outside. The spicy one is not that crunchy because of the sauce, and the spiciness level is moderate only. Beware if you cannot eat spicy food, it will alleviate a spicier aftertaste on the tongue. 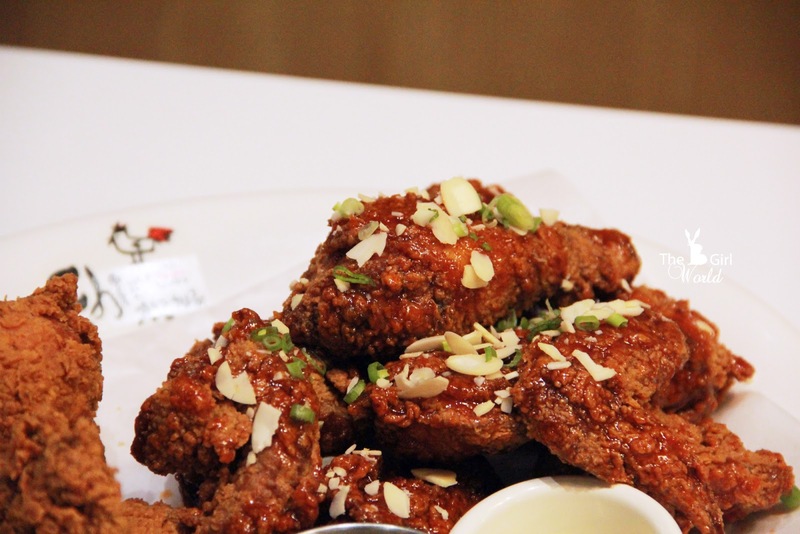 Finger-licking good with a hint of spice! This is because they marinated the chicken for 6 hours before coated with batter and deep fried. 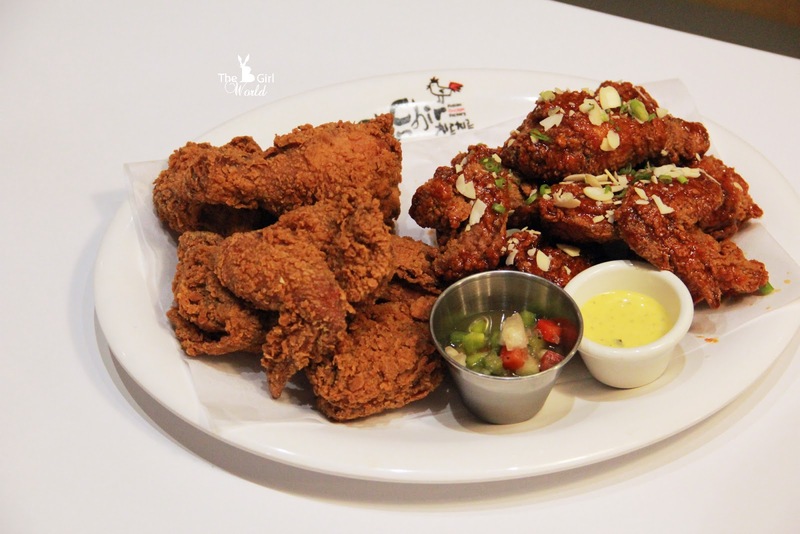 The dish can be enjoyed in the form of chicken wings (7 pcs), boneless chicken tenders or whole chicken cut into 15 succulent pieces. 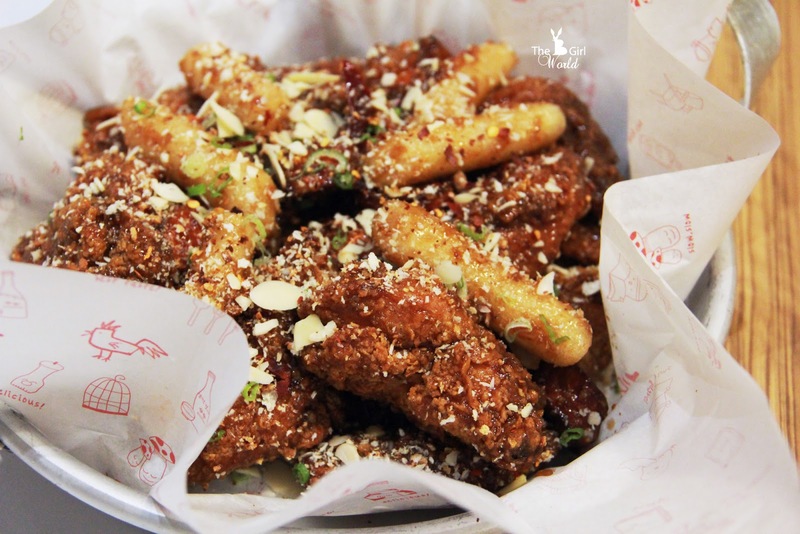 Crispy chicken wings coated in special soy sauce and served together with fried topokki, then topped with crunchy garlic flakes. Yummy!!! My another favourite! 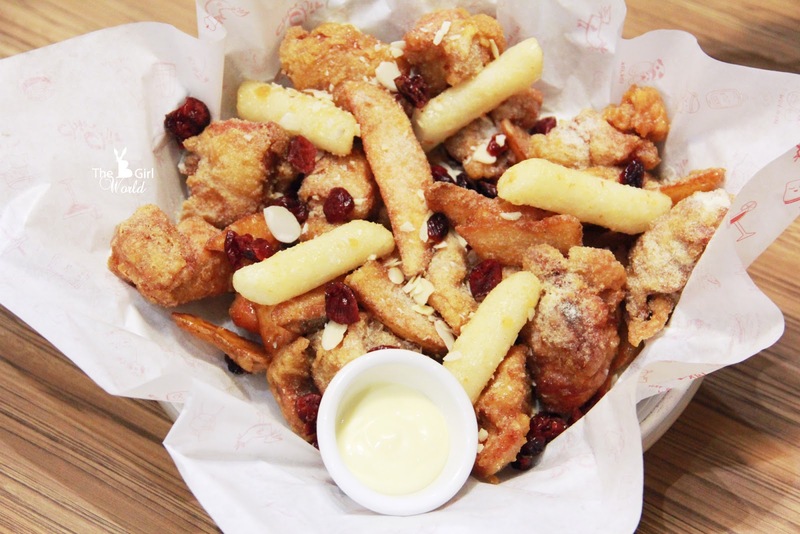 Definitely is a winning dish of crispy battered chicken, potato wedges and fried topokki generously glazed with Chir Chir's proprietary honey butter sauce, and drizzled with honey butter seasoning powder, dried cranberries and sliced almonds. Accompanied with honeyed mayo garlic dip for extra dose of flavour. I can't stop eating this super duper crispy chicken which slathered in honey butter, i love how the honey's sweetness mixes perfectly with the salty flavor. Dried cranberries comes to amping up flavour and texture, one bite just ain't enough! Let's surprise your taste buds with this must-have dish. What's the most shamelessly sinful dish you've ever eaten? Haha.... check this out! Tickle your taste buds with spicy chicken tenders nest served on a sweet potato puree bed with cream sauce, olives and peppers. 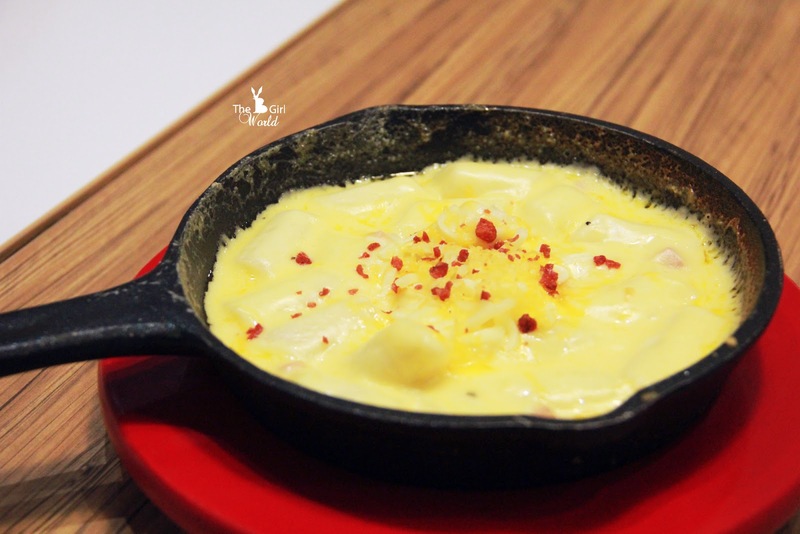 Topped with a swirl of chipped cream and generous hints of parmesan, cheddar and mozzarella. The calorie crime for this dish is well worth the sacrifice! aww~~~ so sinful so delicious!!! 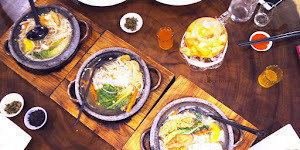 This nest snow was so filling, this is actually our second main dishes for 5 pax, but we all already feel so full. Another highly recommended to you all! 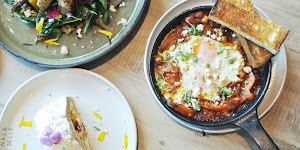 The fragrance of garlic and tender meat, accompanied with salsa, whole salt-baked egg and baked potato with sour cream, these all are such an initiating combination. The roasted chicken is incredibly succulent as Chir Chir marinated this for 12 hours before being roasted to perfection in the oven. Take your pick between Garlic, Rosemary and Spicy BBQ flavours. If you think fried chicken is too heavy, take your pick from this special fold. Again, it is my favourite LOL! 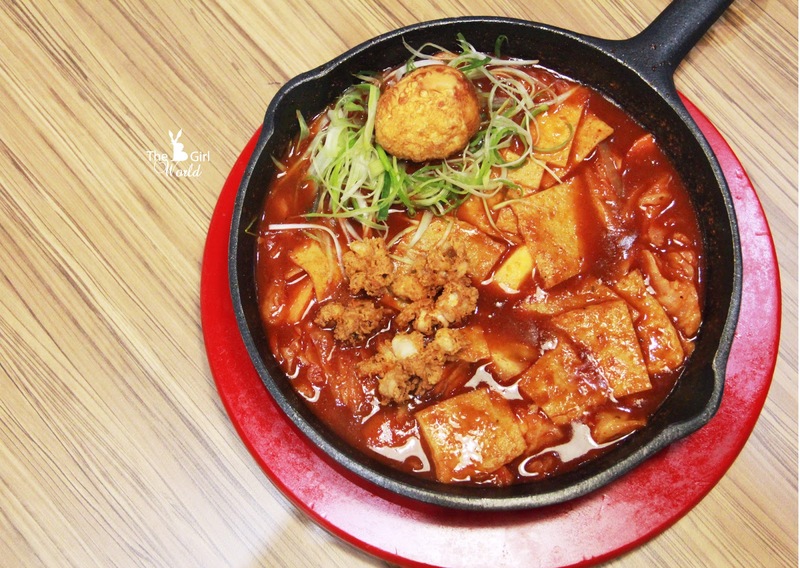 This spicy topokki has a surprising kick with a delicious combination of topokki, fish cakes, Cajun battered squid and egg served in a hot pan with special hot sauce. It such a perfect pick me up on cold evenings! 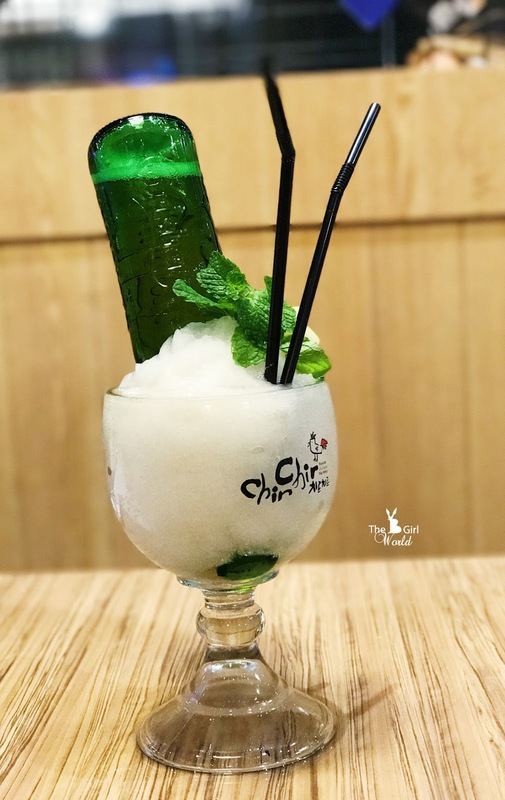 The Chir Chir's signature tipple, a must-try if you like to drink beer. It is inspired by a ‘latte kiss’ in a hit Korean drama. 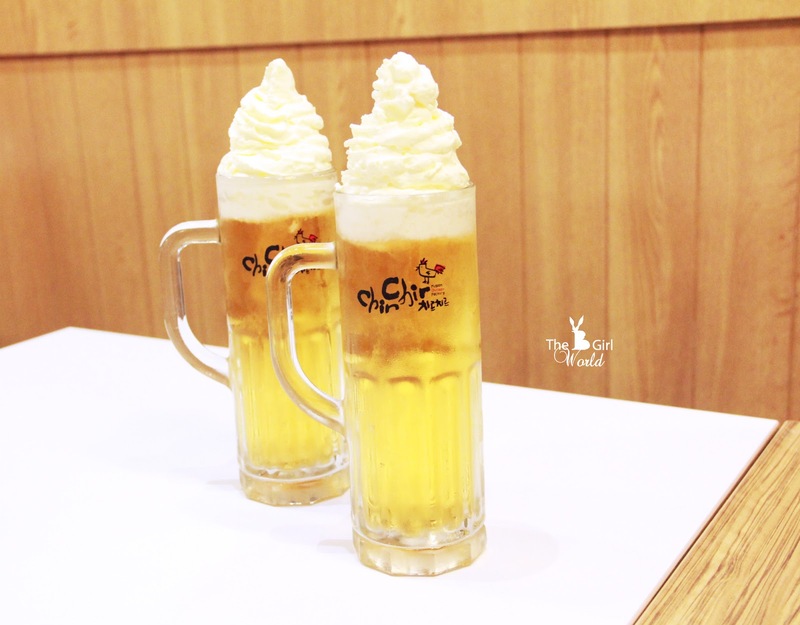 Have fun with this creative combination of draught beer and whipped cream, best paired with fried chicken! For sure to add flavour to the Chimaek experience and give a memorable good time of dining with your friends or family at Chir Chir. From these Tok! Tok! 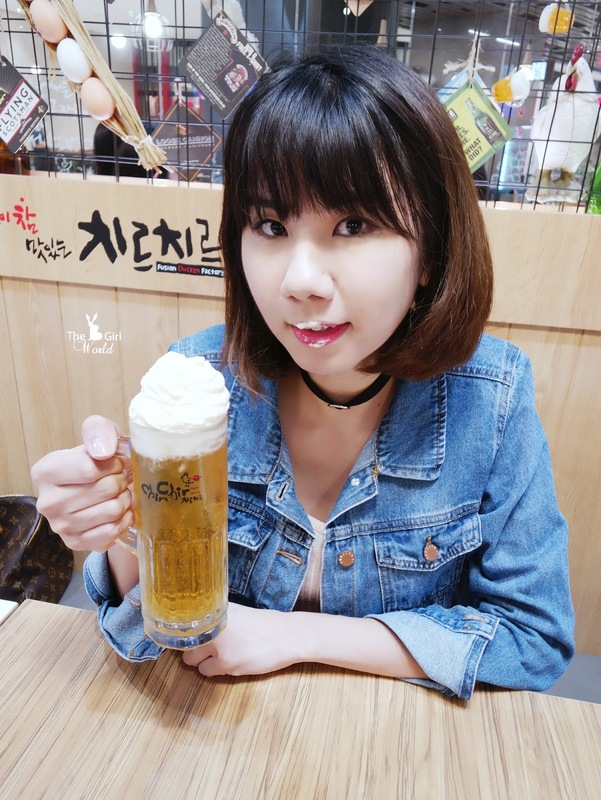 series, you can choose either with or without soju (Korean liquor). Opt for the zesty refreshing flavours of Berry Purple Tok! Tok! (blueberry and forest berries), Blue Marine Tok! Tok! (green apple), Blue Sky Tok! Tok! (blue lemonade) and Passion Yellow Tok! Tok! (tropical passion fruit). 1. 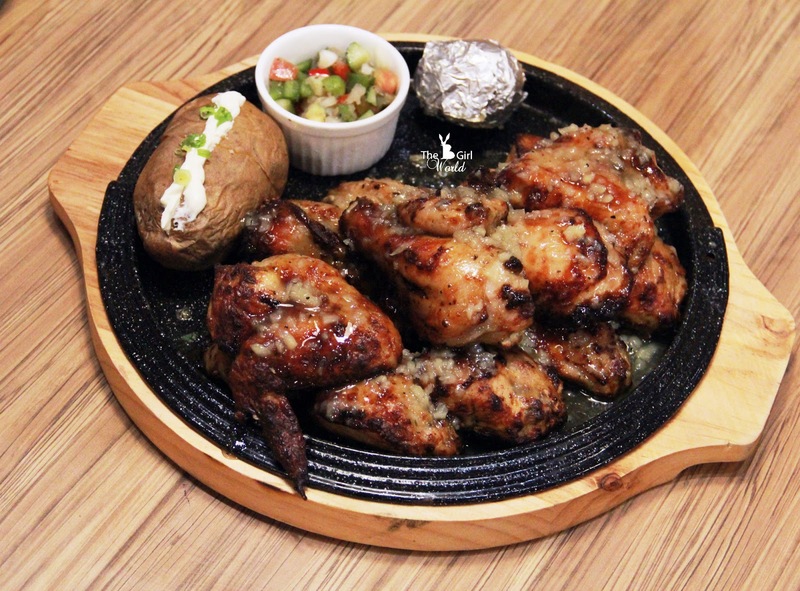 Generous portions that are best shared amongst family and friends, reasonable price. 2. Patrons can bond over a shared meal in a casual setting, share as many as 2 to 3 different dishes at a time! 3. Impressed with their wide-ranging creative menu, covers speak to your needs. 4. 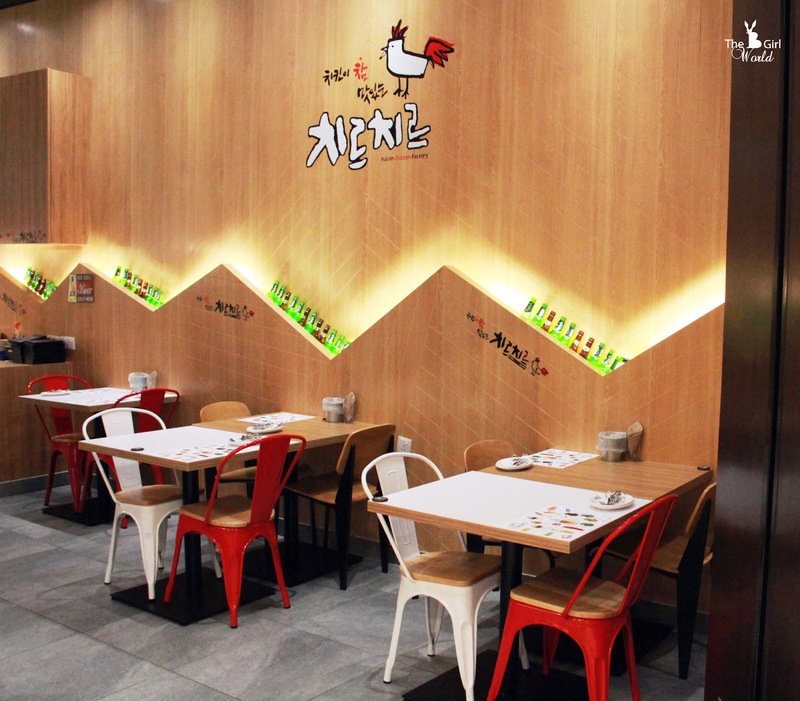 Their fried chicken is indeed addictive and delicious! Definitely i will come back again! 5. 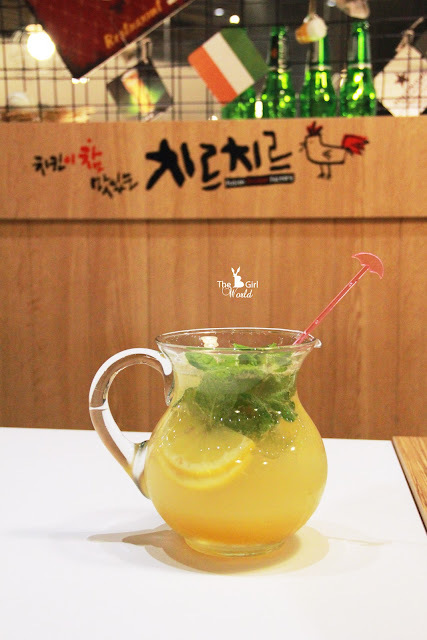 Must-order-dishes : Chir Cream Beer, Signature Fried Chicken, Honey Butter Chicken, Garlic Roasted Chicken, Spicy Topokki. 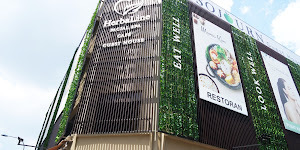 168, Jalan Bukit Bintang, 55100 Kuala Lumpur, Malaysia.